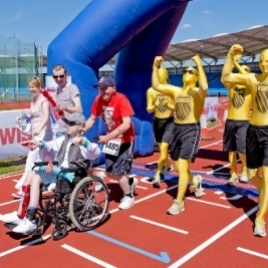 Using our nationwide database of event staff and promo staff we provided the client with a range of brand ambassadors and promotional teams in Leeds, Manchester and Sunderland. Each team was tasked with distributing free giveaways to members of the public as well as giving words of encouragement to race participants. IE provided the client with 4 staff members at each location with the staff being split into two teams at each live event. 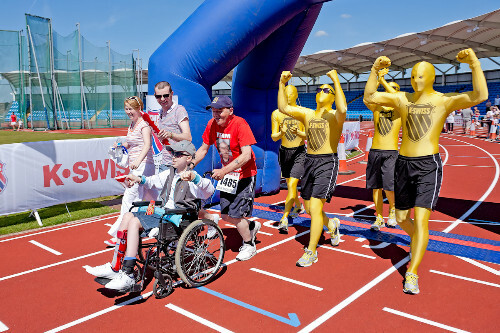 One team was required to approach runners after the race, offering congratulations and a chance to receive a free giveaway goodybag from the sponsors K-Swiss. 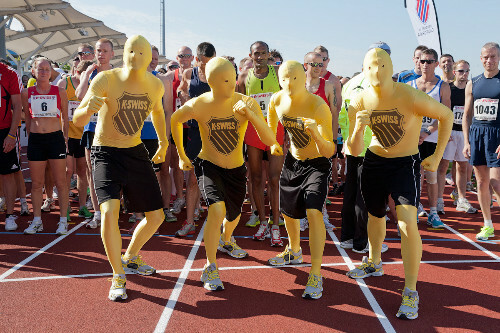 The second staff team donned colourful morph suits and were positioned around the race offering words of encouragement and lifting the spirits of the runners on the way to the finish line. Both teams were commended by the runners, saying it was great to see a friendly face, full of energy and receive words of encouragement when they were almost out of steam! The client was extremely pleased with the results of the brand activation and went on to request staff for similar roles and experiences which they incorporated into their marketing approach for a number of years. 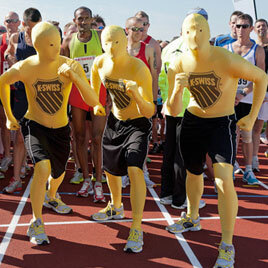 Visitors to each race were extremely impressed with the bold and powerful morph suits marauding round the place and were equally excited about the free goodybags handed out by K-Swiss. 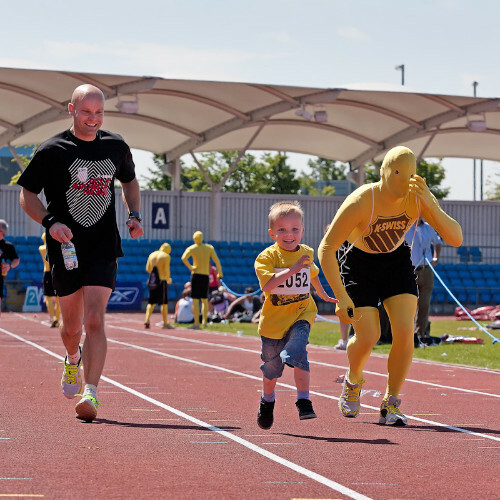 Runners found that the staff were extremely helpful and fulfilled their job roles perfectly, urging them to carry on and do the best they can with friendly faces and words of encouragement. This comes from having a thorough database of reliable and hard working promotional staff and event staff who are willing to go the extra mile for every client and every job.